Really unique gifts are something I seriously enjoy trying out. 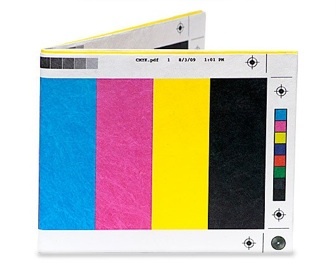 This is one of them and it's called the Dynomighty Mighty Wallet. And everything about it is unique. It comes in 113 different designs. And it's seriously difficult to choose which to go with. Some of these designs are just so retro and indie consisting of one which makes your wallet look like folded up Dot Matrix paper to one looking like a music sheet folded and then to a design with a few dollar notes folded. 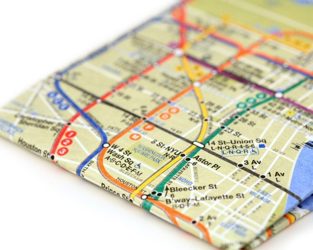 And then you have patterns like the printer color bar (my wallets design) and then you have one with a New York City Subway Map which is most definitely on the opposing side of the design scale. I've literally skimmed the brink of the variety of design options but you have to check them out for yourself, if not to buy but to just browse the art. My wallet looks brilliant, the design I chose really tests the colors and sharpness which is possible on these wallets and I've found it all to be very well done and very bold. The colors stand up to what's shown in the pictures and don't wear away. So the next unique point of this wallet is that it's made out of woven plastic. Now I'm guessing you've never heard of this before, well me either. The process sounds ridiculously difficult but very fascinating. And because it's woven and made with plastic you can't rip it, it's water resistant and my favourite part of the material is that it expands. I can load this up with cash and cards and it will adapt to this. All this and the wallet hasn't got one piece of stitching to be seen and that's because it's an origami construction. Now this isn't a wallet unless it's actually able to hold your money ect. When you open the wallet you are first presented with two pockets which I store credit cards in and a bit of loose change. Behind these pockets are two sections running right across the wallet which give you storage for cash and these are really designed for American dollars so UK pound notes look a little small inside but it's not a huge deal as our currency gets bigger with the rare £100 notes which require this space. I have used mine for two weeks and most of the time it's obviously in my pocket and the Dynomighty Mighty Wallet hasn't shown any sign of wear or tear. It's practical and functional. But the things that really make this an unique product is it's remarkable material and amazing designs. O and it does get quite a lot of attention when you pull it out in public.